If the delivery postcode starts with any of the following you quality for free delivery carried out by our own fleet of vehicles. Bulk bag contains between 850-900kg with an approx coverage of 10-12m² at 50mm deep. Poly bags contain 20kg. For help with working out quantities please enquire or follow the link to our chippings calculator. Bulk bags available to purchase online. If you wish to purchase Poly bags please contact us for more details. 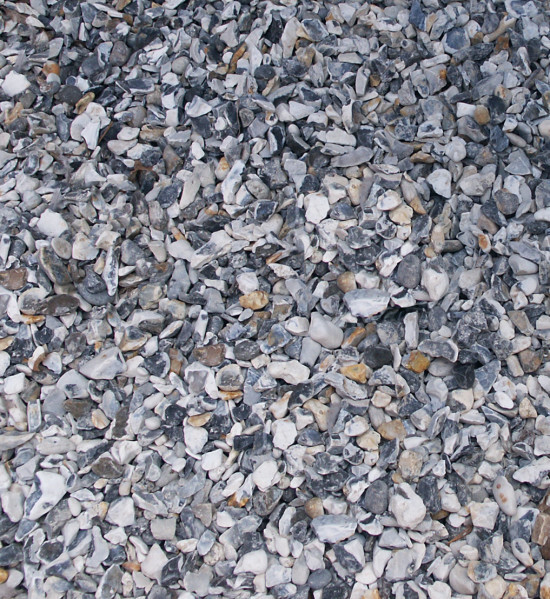 Beautiful Thames shingle is an ideal replacement for the now unavailable Chichester grit. Thames shingle also works extremely well when used in large areas for parking, as at 20mm, it is unlikely to get picked up by tyres or shoes and is robust and resilient enough for constant use. In larger areas the lighter side of the chipping lifts and highlights dull areas and reflects available natural light to create a bright yet durable area. If the delivery postcode starts with any of the following you qualify for free delivery carried out by our own fleet of vehicles. We do not sell part jumbo/bulk bags. We would recommend either rounding up or down. It may be more cost effective to round down and top up with poly bags. As we do not charge for local delivery you can always round down and top up if needed. Please contact us if you have any questions. Let us know what you are looking for and we will get back to you.